The last week has been slightly difficult to train as I’ve had a number of visitors over. That said I’ve still been able to do some work and combining it with a bit of rest hasn’t done me too much harm. The drinking on the other hand…. Saturday morning marked my 5th and final planned preparation race before the big event in June. This was the Jebel Ali sprint which to my suprise had some very competitive athletes entered in it. Faris Al Sultan who won the world ironman championships in Hawaii in 2005 was the stand out name but all of the leading local semi pro athletes were there which gave the event a bit of an extra buzz. 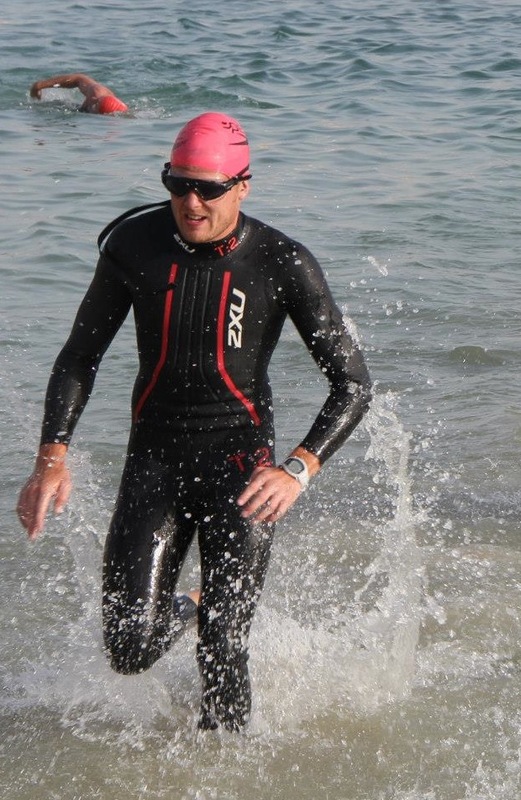 For the first time in my relatively short triathlon career I wasn’t even a little bit nervous at the start of the swim, I just really wanted to get going and go balls out right from the start. I did that and although coming out the swim I was blowing quite hard, I had finished the 1st split in just under 13mins which for me was pretty decent. It took me a while to get my breath back on the bike but that was partly because I went for it again. I just wanted to see what would happen if I went as hard as possible from start to finish to basically test my fitness. The bike was only 18k which was a bit annoying but it meant it was really fast and quite fun. Not sure on the exact split time but my watch said around 32.40. The bike was obviously 2k shorter than usual but even with that difference my time is by far the quickest sprint time I’ve ever posted. Faris Al Sultan came through in 53.01 so there is still some work to do but for now its all about smashing the endurance and training well. Great, great result, respect !